Kim and Kanye – parenthood's turning them into control freaks! Beyonce and Gwyneth have fallen out! Jordan took an STI test last week! 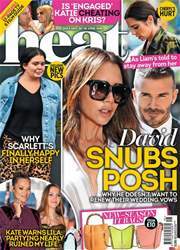 And oodles more celeb stuff you need to know, in this week's heat.